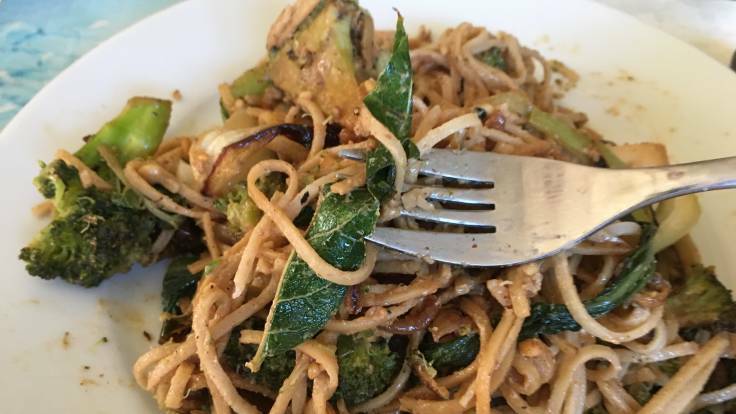 Had our first taste of Toona sinensis (Chinese Cedar) from the #ForestGarden yesterday, in a stir-fry with broccoli and onions. One for @BackyardLarder 🙂. Really, really nice taste, strong and garlicky with a complex mustiness. Some of the older leaves were a bit tough, pick just the shoots if you can.